Do Me A Favor: Kendras Kollection & Paper. Scissors. Rock!!! 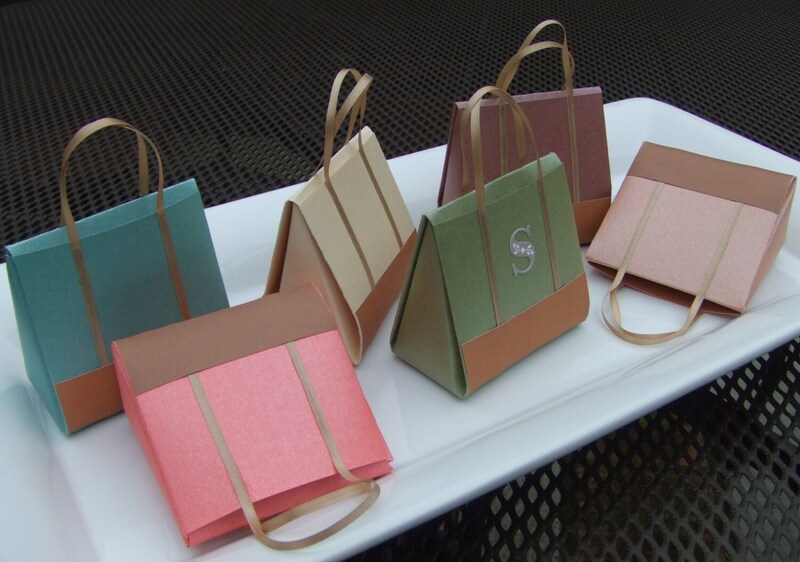 These have to be some of the cutest favor bags I've seen in a good long while. For the bag fanatic in your life you have these darling little handmade paper purses, complete with oh-so-in-now monograms by Kendras Kollection, $7.00 each. Even sweeter is the inspiration behind each bag coming from Kendra's fathers simple gift everyday, "My father used to make my lunch for school and pack it in a brown paper bag. What I remember and love the most now was on the bag itself. Although I may not have fully appreciated it then, it would brighten my day and encourage me to read his handwritten note finished with a scribbled happy face. His time spent on so many busy work mornings to make his girls' sandwiches and leave lunch bag notes, was a true act of love." 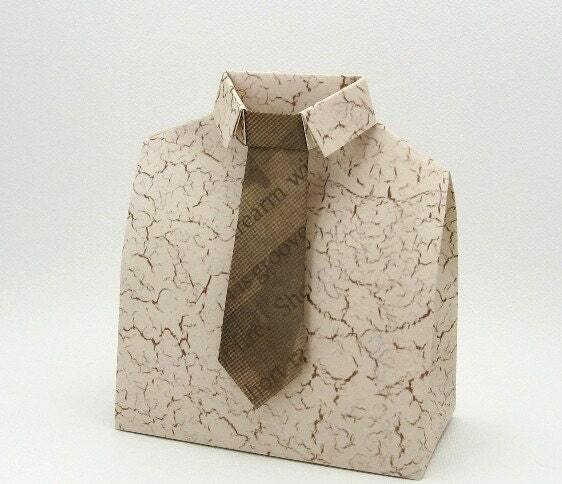 For something a little more Dad oriented take a look at these equally novel Origami favor gift boxes in the shape of a necktie and dress shirt. All it needs is a little paper fastener at the lapels for a retro take. As is, it would be perfect for holding a gift card for dear old Dad this Fathers Day or any time during the year. $9.00 each at Paper. Scissors. Rock!! !.